JCD Staffing is a specialized staffing and consulting firm, focused on working with highly talented technical individuals to provide our clients with a unique, successful hiring experience. 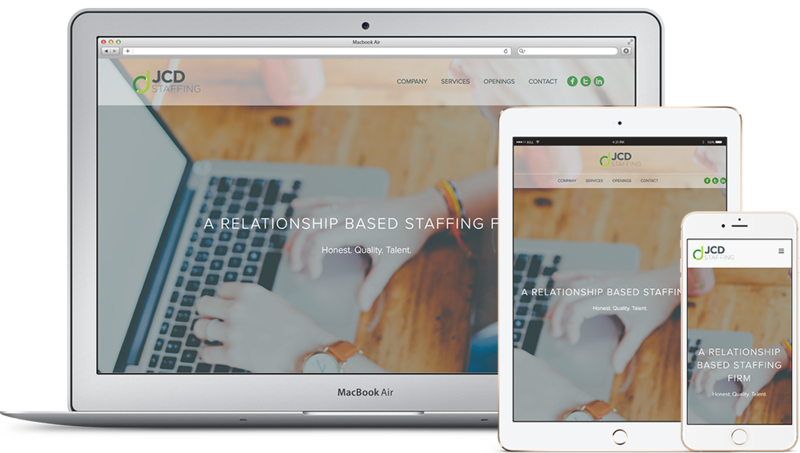 Our goal in working with the JCD Staffing team was to provide a simple, clean and fresh website, while creating a dynamic and responsive user experience for JCD's cherished candidates and employers. For their logo, the JCD Staffing team wanted to pair a logo design with a DNA Helix concept. 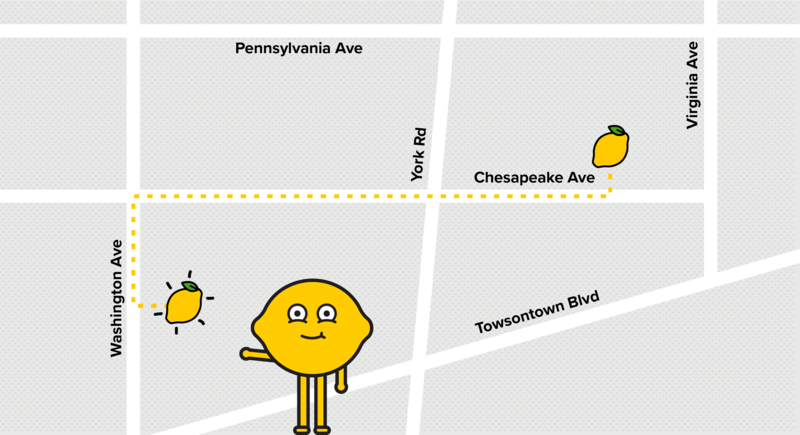 The Zest Design Team worked with fresh colors and modern typefaces to make the logo feel modern, energetic and dynamic. It is important from a branding perspective to have a logo that can work in any project space. For that reason, the Zest Design Team creates stacked, horizontal, and thumbnail logos to ensure that our clients' brand is well represented across any medium. Logo and icon designs should always be cohesive in their shape, line and colors.In order to ensure that JCD's brand elements were complimentary to one another, we incorporated the energetic and youthful vibe with a modern flare into the icon designs. For JCD's website, we wanted to make sure the design was clean, simple and refreshing. We accomplished this by employing a minimalist approach, using neutral colors and negative space mixed with large, visually appealing imagery and bright contrasting icon colors. In maintaining brand alignment, we wanted to be sure that the style of the site was clean and easy to read, yet engaging. The use of sans serif fonts create a professional feel, but also provide a sense of modernity. This style also allows for easy user interaction and navigation within the site, creating a seamless user experience. The inner page design for any website must be organized and responsive, and provide clarity to a user. With this in mind, our creative masterminds developed the JCD inner pages to be clear and simple, yet in depth in their delivery of service information and openings. There are few more crucial factors for a website than the user interface and user experience. Who would we be if we did not keep these elements at the forefront of our mind when creating the JCD website. Users will find that the pages and menus are easily navigable, responsive for all devices and dynamic.